The Bombardier CRJ900 is a twin engine regional jet built by Bombardier Aerospace in Canada. The Bombardier CRJ900 has two GE CF34-8C5 engines mounted at the tail section of the aircraft. Capable of carrying up to 90 passengers plus 5 crew members, the CRJ900 was built for airlines requiring a larger aircraft for regional routes. The CRJ900 airplane is a stretched version of the Bombardier CRJ700 jet with a strengthened landing gear, new wheels, new brakes, new engines, increased cargo capacity (bottom forward baggage hold), two additional over-wing exits and an additional baggage door for the bottom cargo hold. It can be also be considered a stretch / derivative of the Bombardier CRJ200 aircraft because the CRJ700 was based off of the CRJ200 aircraft. By keeping many components the same, the aircraft has commonality with the other CRJ series aircraft. This allows operators to have pilots easily transition from the different aircraft and makes also makes maintenance easier and more economical. This commonality can be seen in the Cockpit of the CRJ900 because the avionics system on board the CRJ900 is the Rockwell Collins Pro Line 4 system, the same avionics system on the other CRJ series aircraft. On July 24, 2000 the Bombardier CRJ900 was officially launched by Bombardier at the Farnborough Air Show. The CRJ900 first flight occurred on February 21 2001 and the first production aircraft first flew on October 20, 2001. Transport Canada was the first to certify the CRJ900 and on September 9, 2002 the Bombardier CRJ900 received an aircraft type certificate from Transport Canada. After Transport Canada certification, the United States' Federal Aviation Administration (FAA) awarded the Bombardier CRJ900 a type certificate on October 25, 2002. Europe's aviation regulator Joint Airworthiness Authorities (JAA), now called the European Aviation Safety Agency (EASA), certified the CRJ900 regional jet on December 18, 2002. Mesa Air Group received the first delivery of the CRJ900 on January 30, 2003 and the CRJ900 entered into service with Mesa Air, for the first time, on April 26, 2003. Mesa Air operated the first CRJ900 for America West, under the America West Express name. As with the other CRJ series aircraft there are different types of CRJ900 jets. Bombardier developed the CRJ900 base aircraft with ER and LR versions. The ER (Extended Range) version is an increased range version of the base model CRJ900 and the LR (Long Range) version is the longest range CRJ900 available. 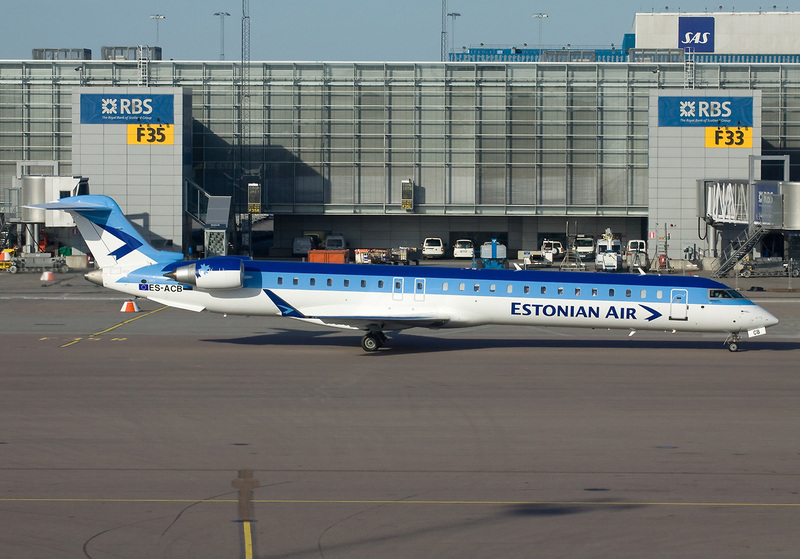 There are also European versions of the CRJ900's ER and LR models. These models have a lower certified maximum takeoff weight for the European market. In May 2007, Bombardier announced the availability of the CRJ900 NextGen, an improved version of the CRJ900 that was based on planned CRJ1000 improvements. The CRJ900 NextGen brought new interiors and enhanced economics for the Bombardier CRJ900. To Learn more about this NextGen version visit our Bombardier CRJ900 NextGen page. Currently the Bombardier CRJ900 regional jet is an in-production aircraft. According to the CRJ program status report from Bombardier, as of September 30, 2013 there are 306 orders for the CRJ900 with 268 delivered and 38 in backlog. Up to Septemeber 30, 2013, 7 CRJ900 jets were delivered year to date. The Bombardier CRJ900, like many aircraft, has a few different names. The CRJ900 is also called the CRJ9 aircraft and the CR9 airplane, the ICAO and IATA codes for the aircraft. Another name for the CRJ900 is the Bombardier CL-600-2D24. This is the model name for the CRJ900 jet. Previously the model name was the Canadair CL-600-2D24. To learn more about the Bombardier CRJ900 visit the pages on the website that have specific information on certain areas of the CRJ900 aircraft. Above Bombardier CRJ900 photo at Stockholm-Arlanda Airport ICAO: ESSA by Ole Simon on Wikimedia Commons. Photo (only) released under a GNU Free Documentation License Version 1.2.